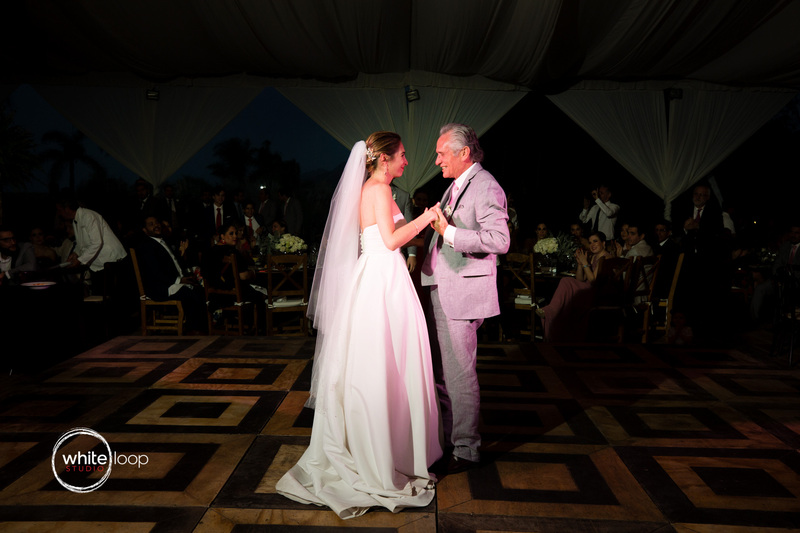 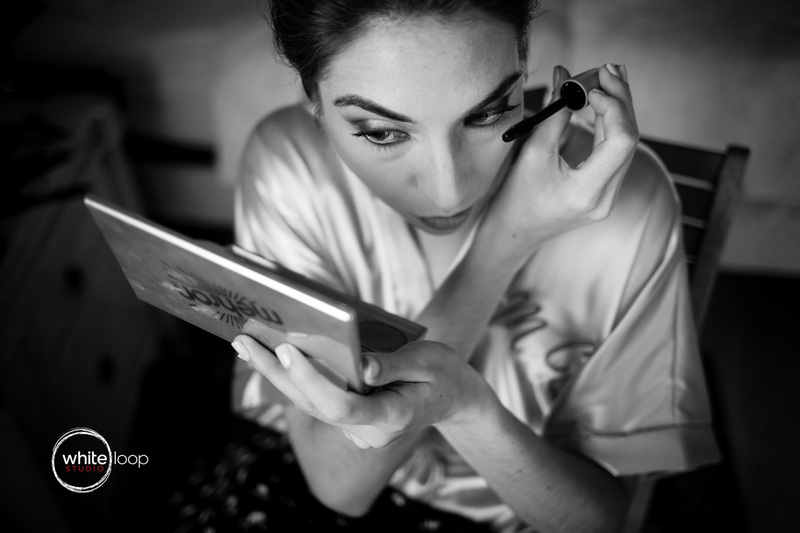 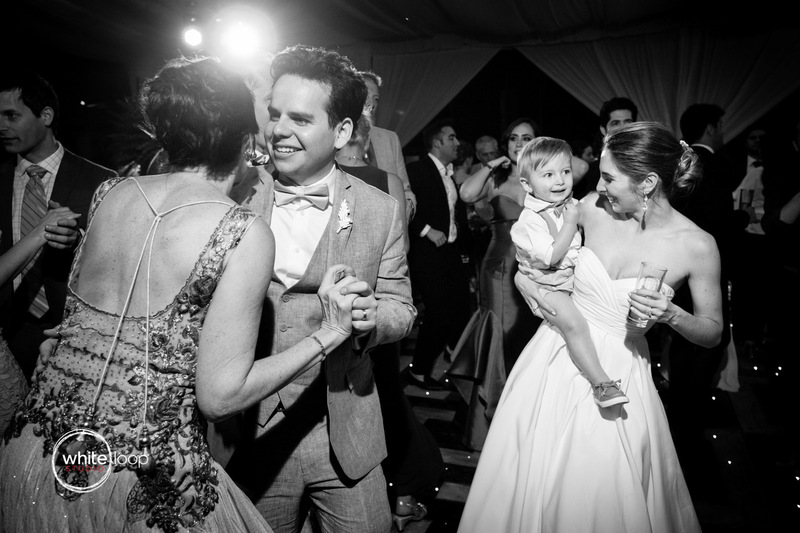 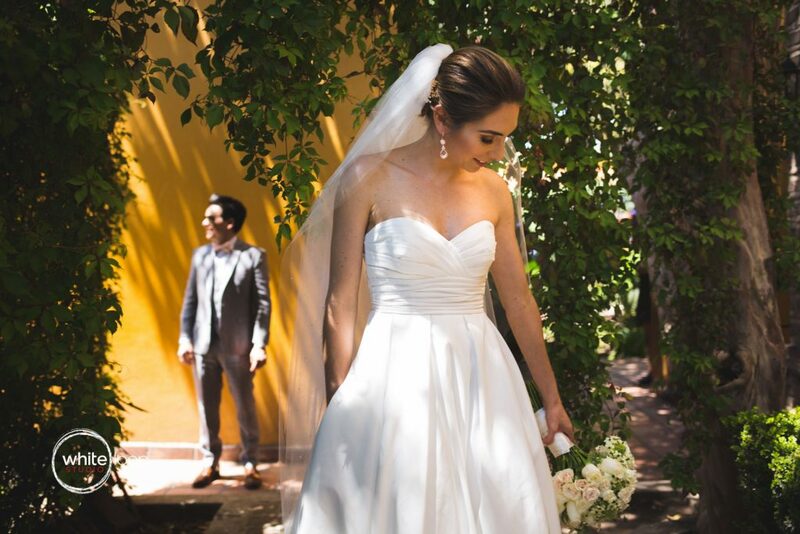 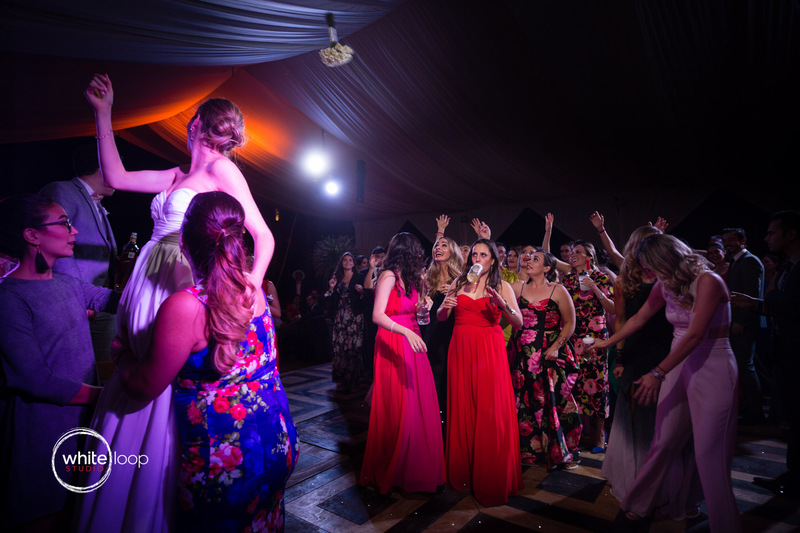 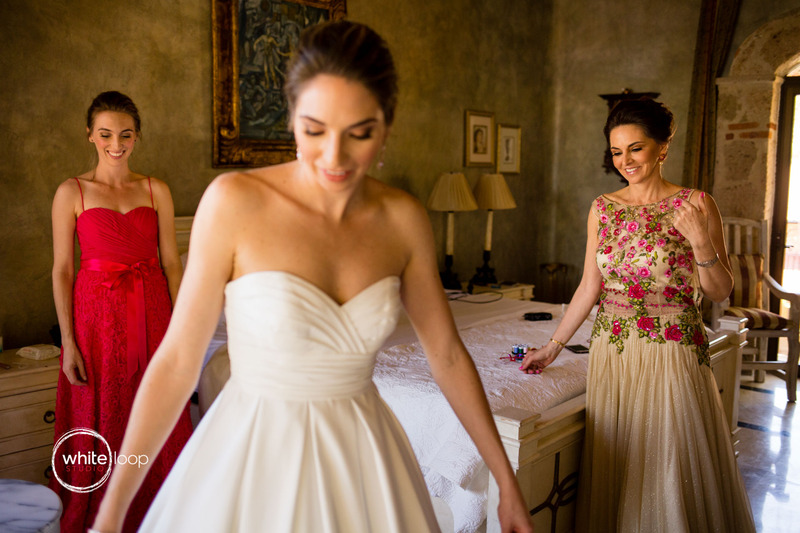 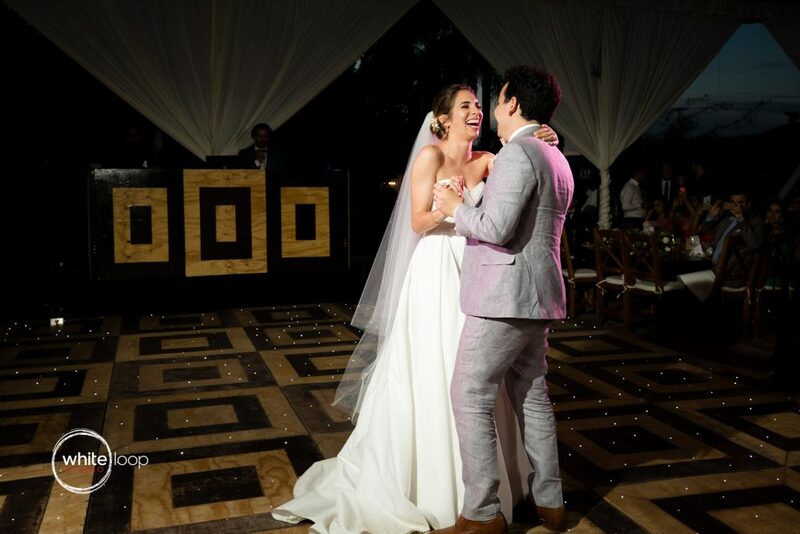 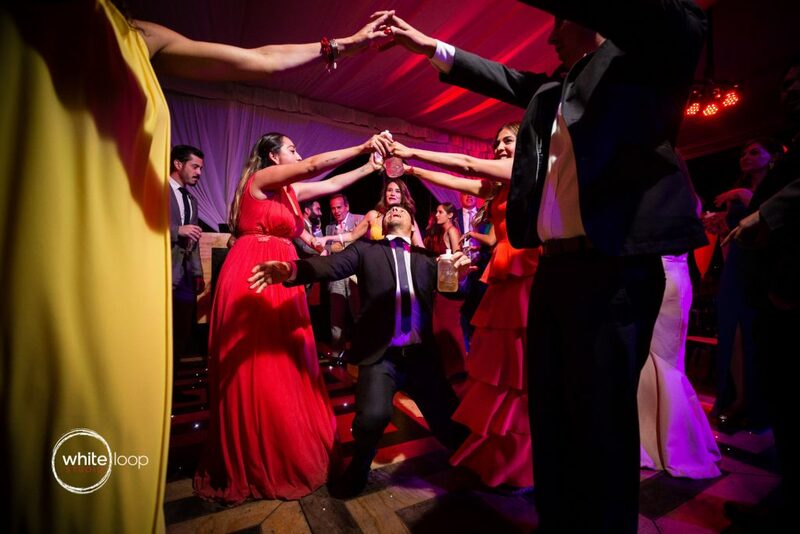 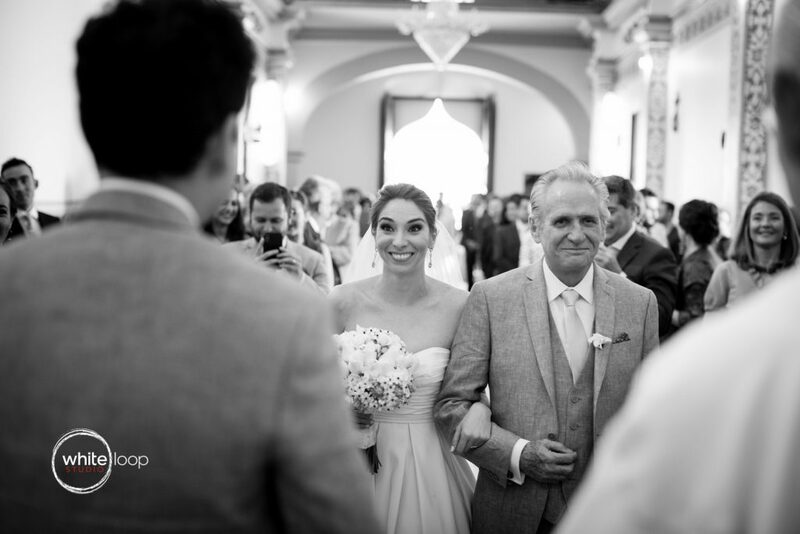 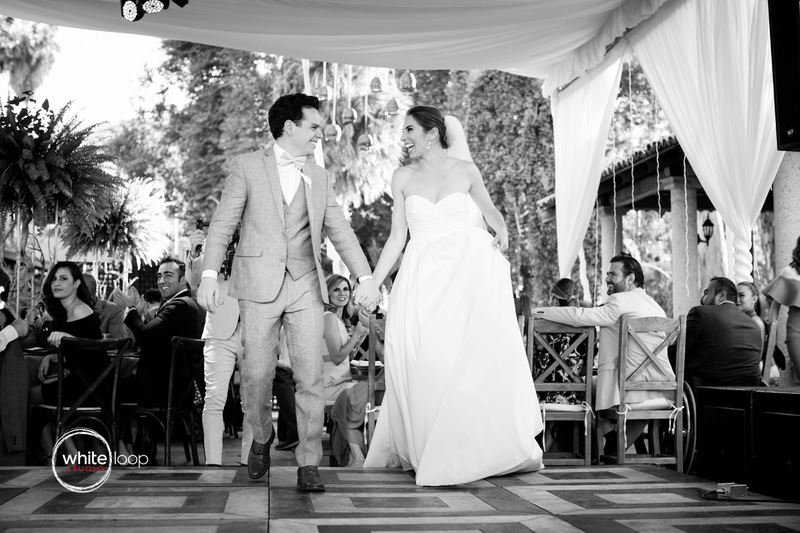 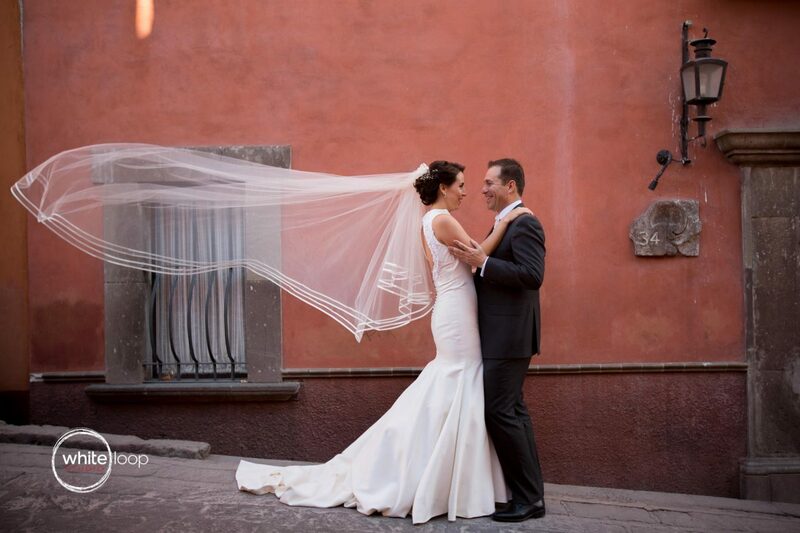 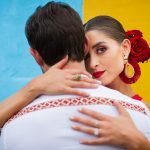 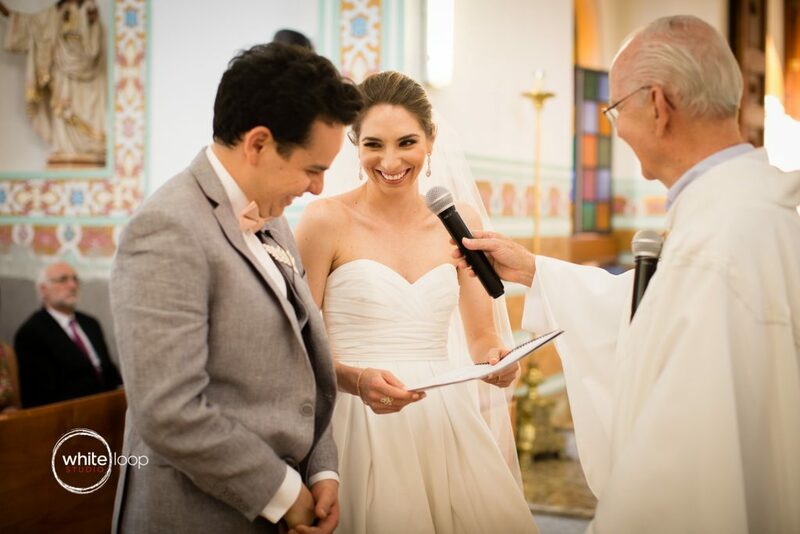 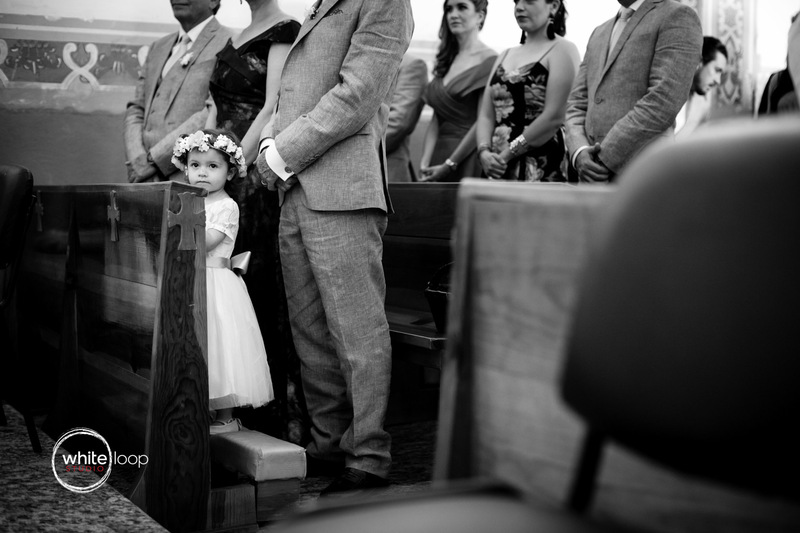 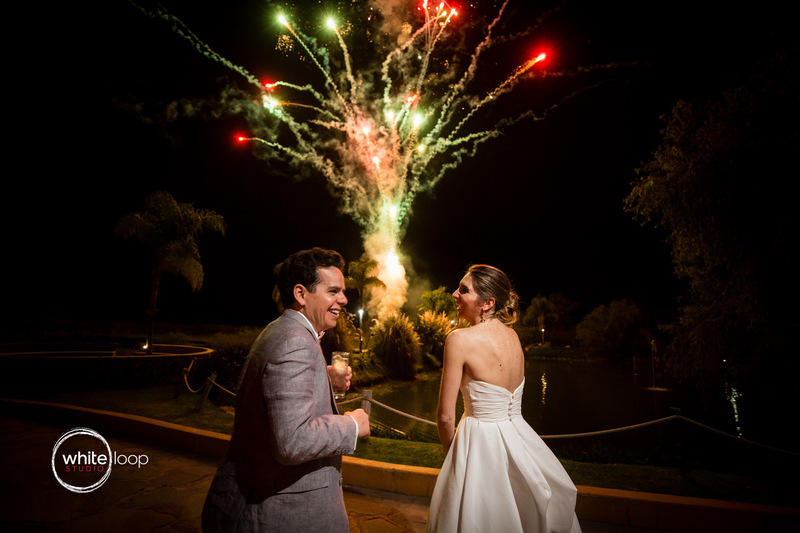 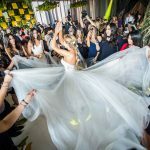 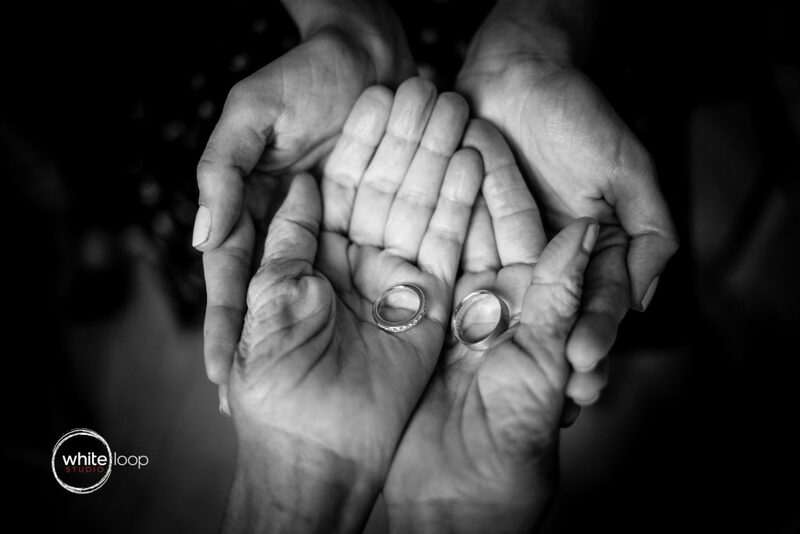 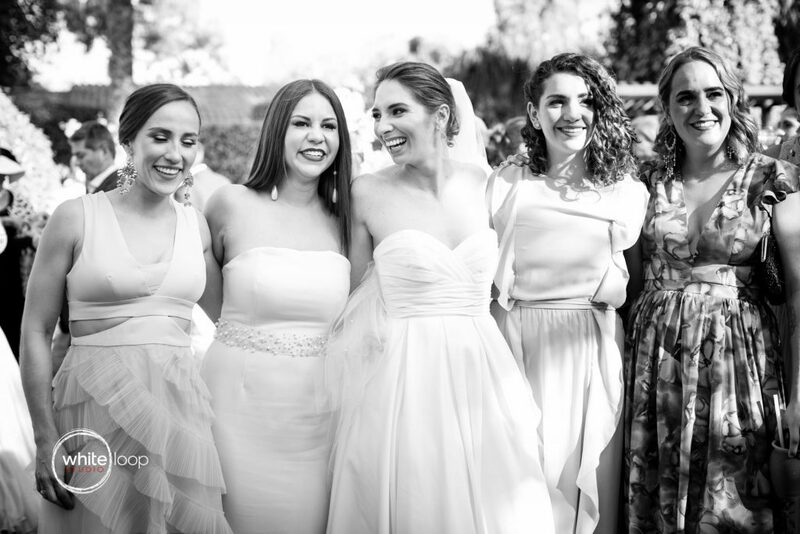 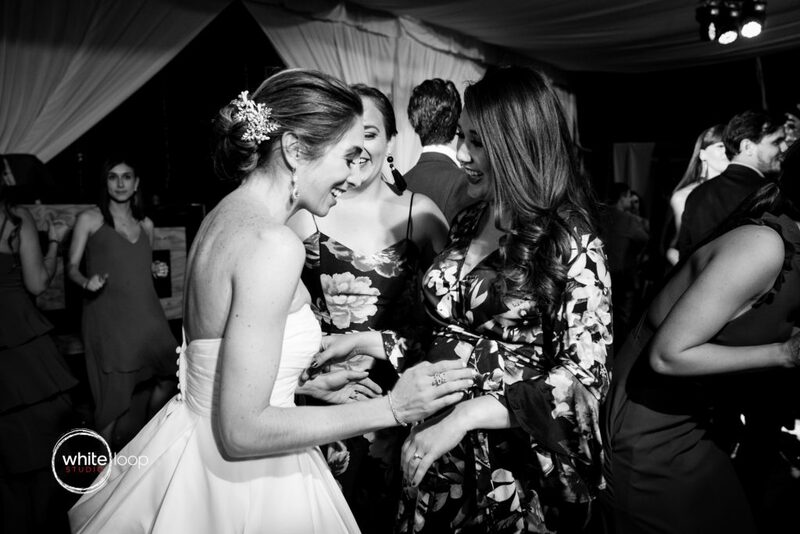 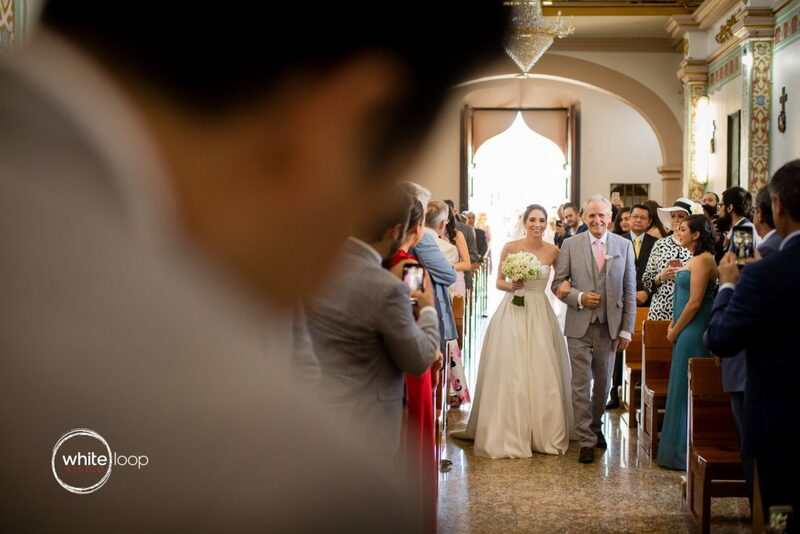 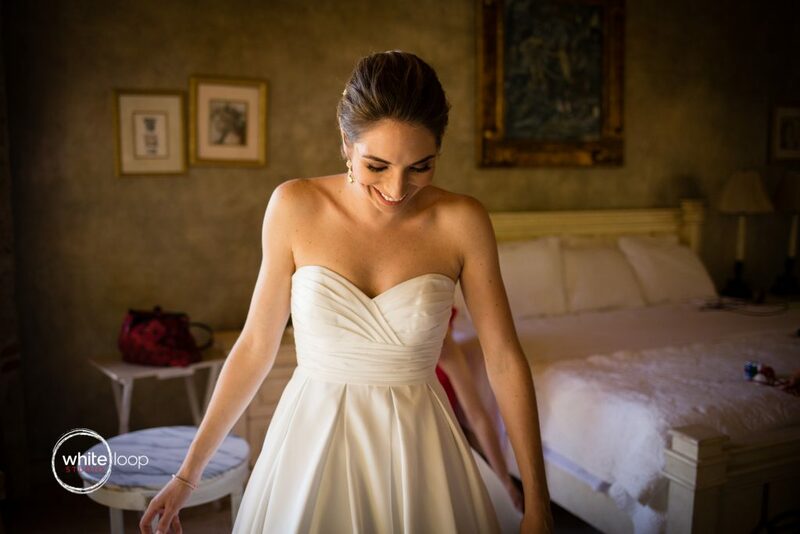 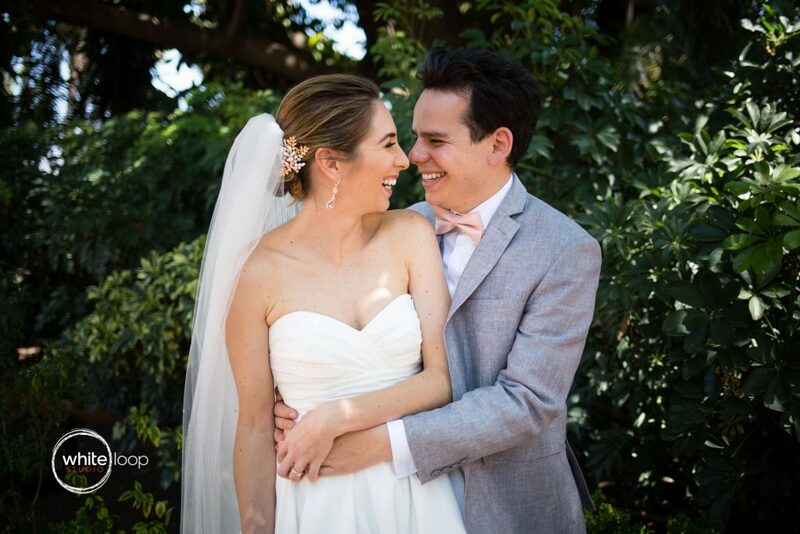 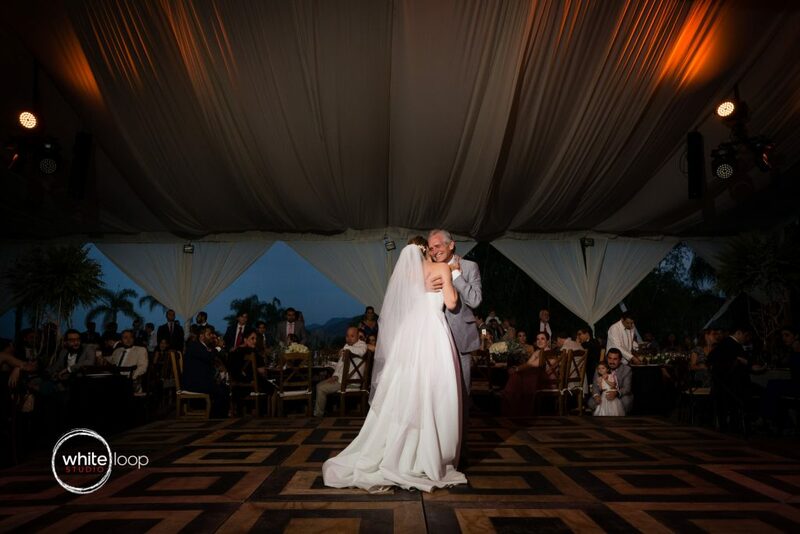 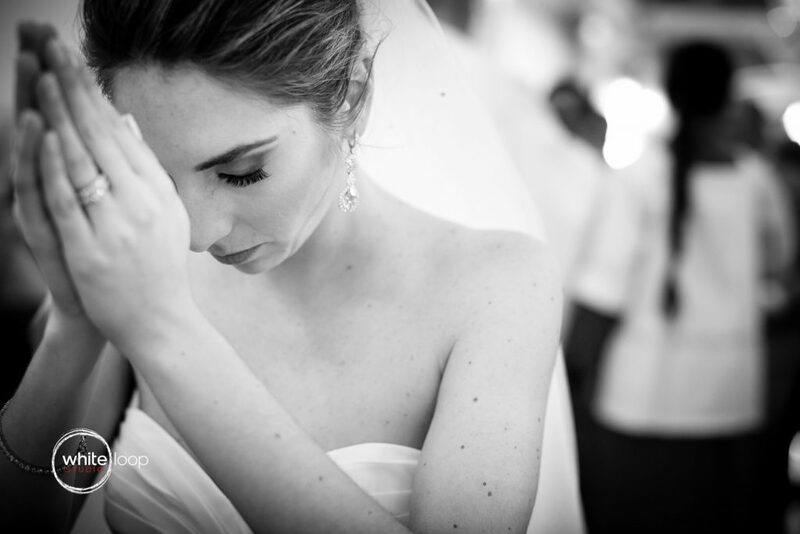 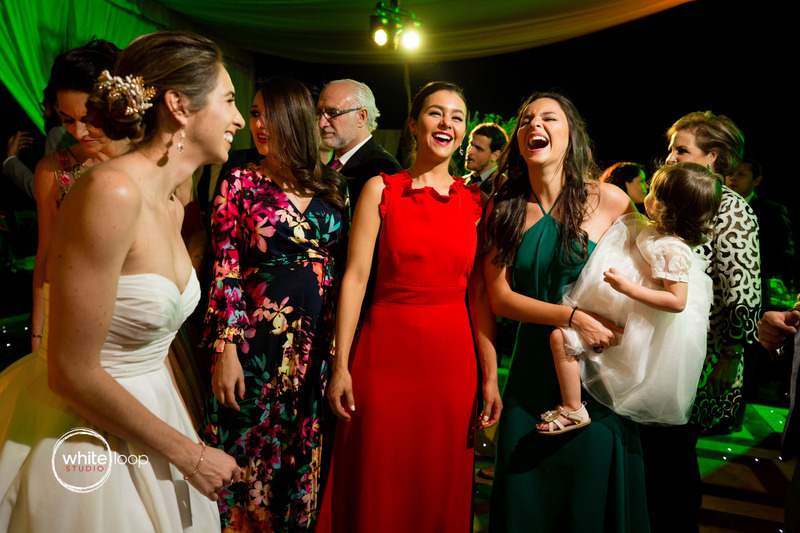 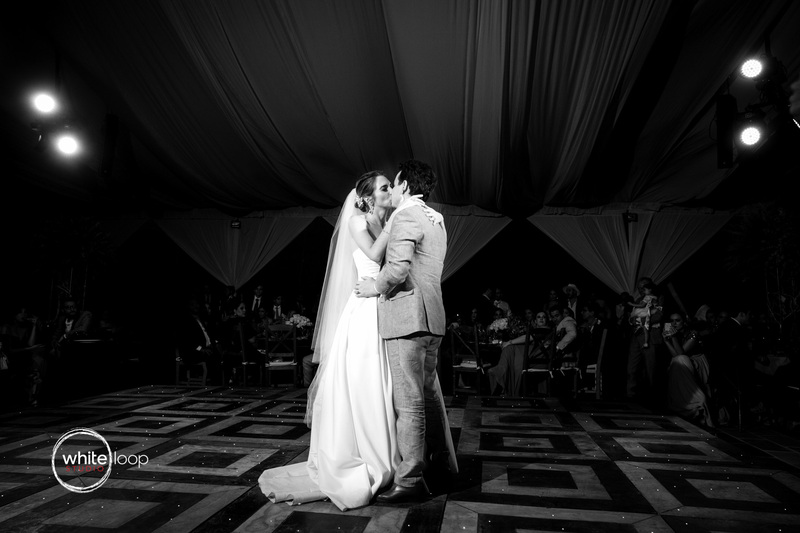 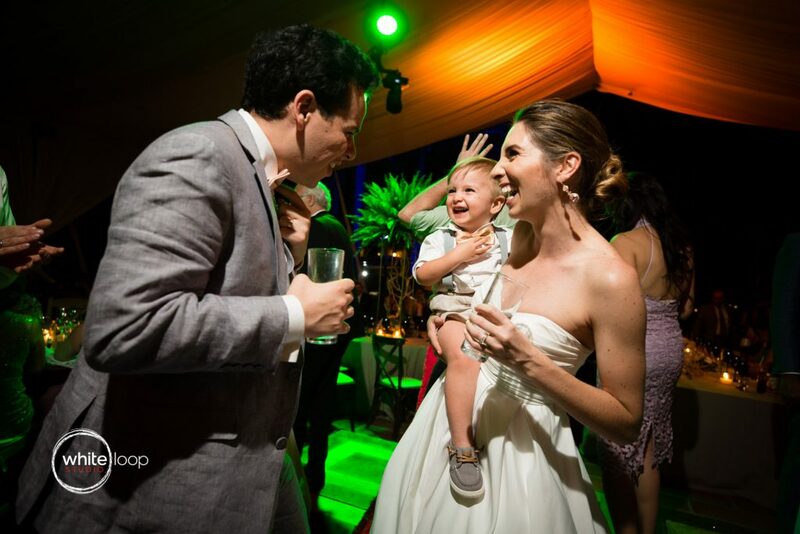 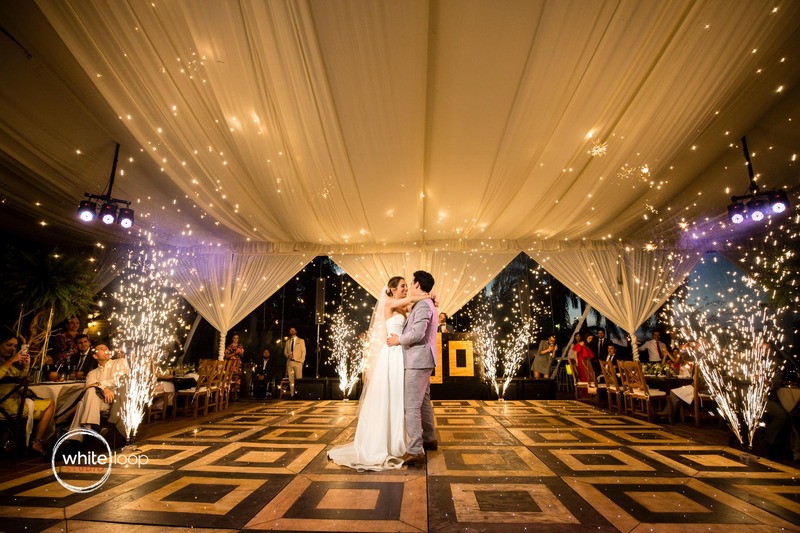 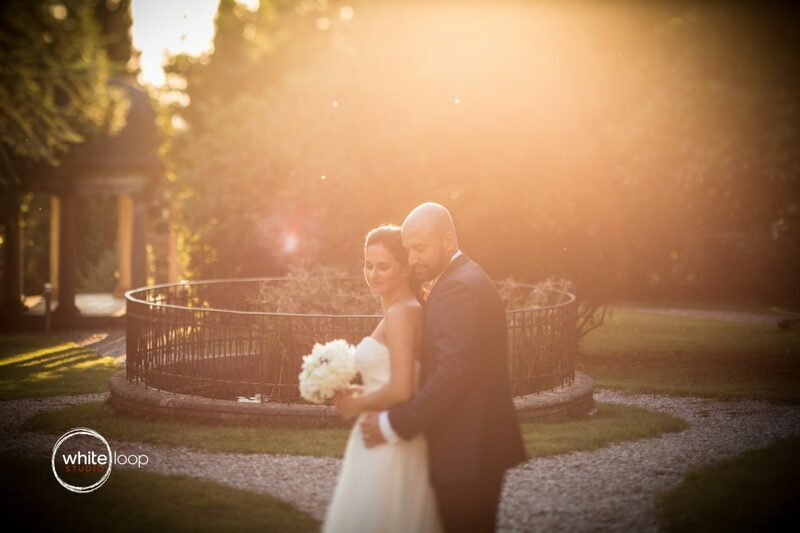 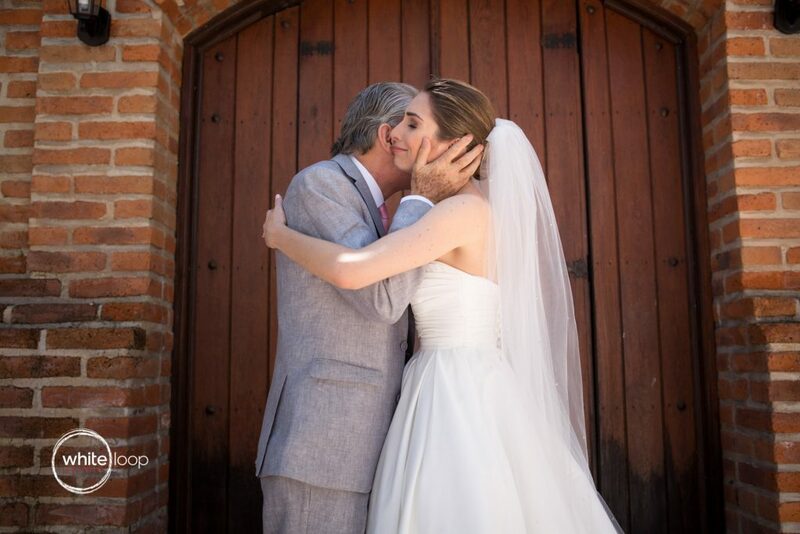 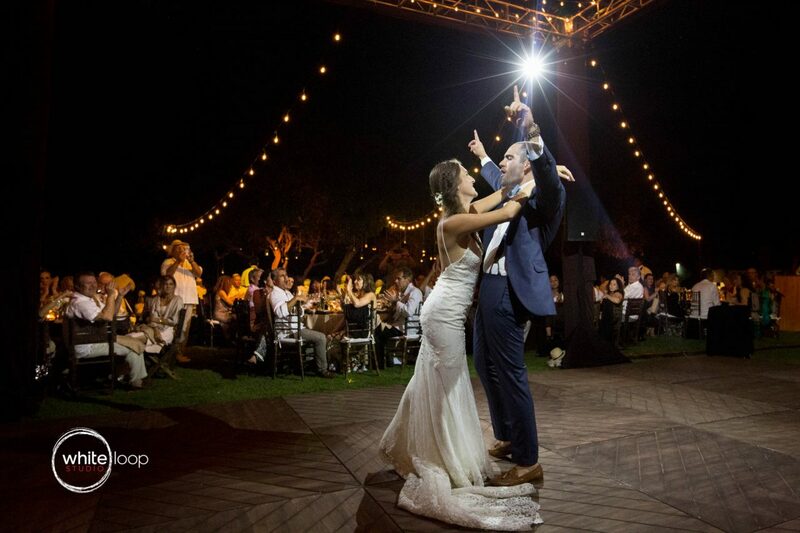 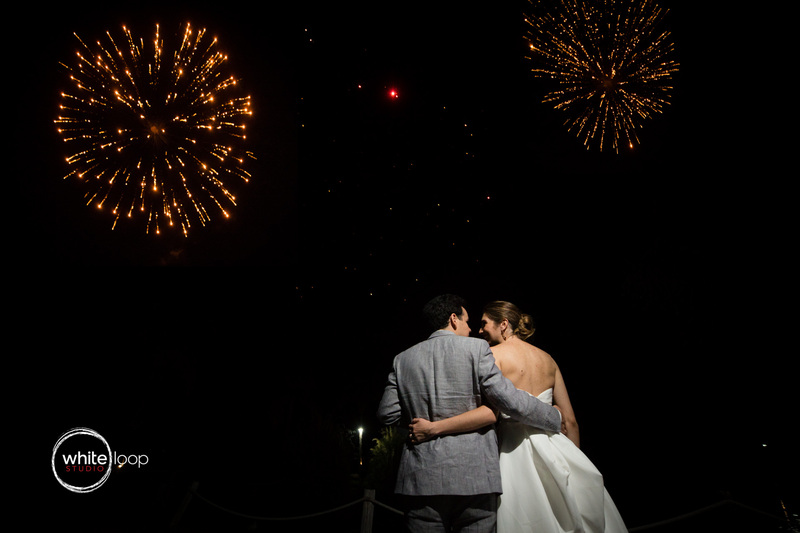 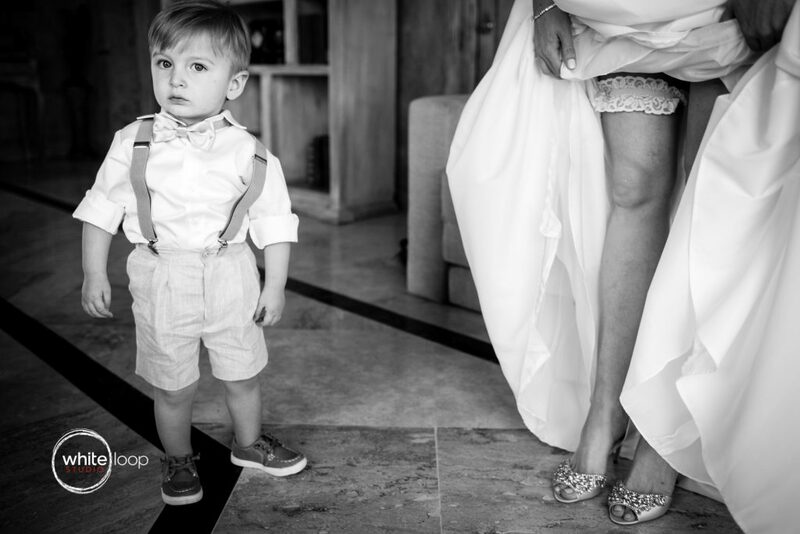 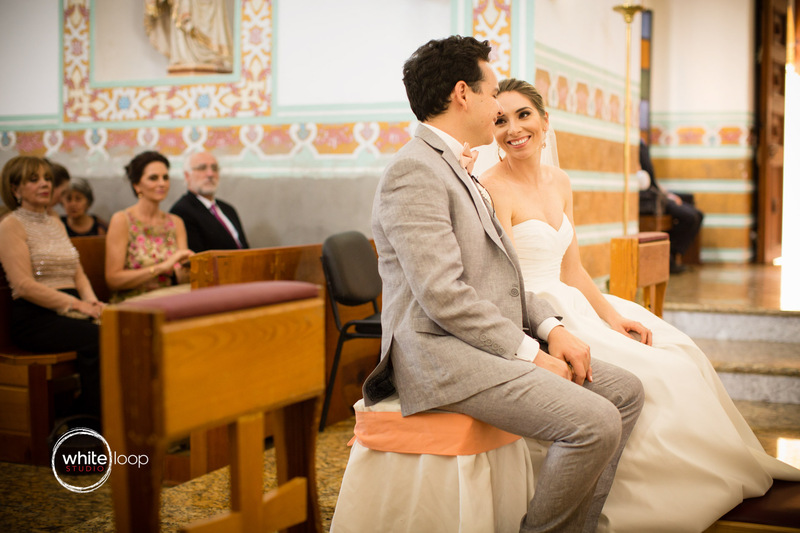 The wedding of Mariana and Diego have been a beautiful happy wedding! 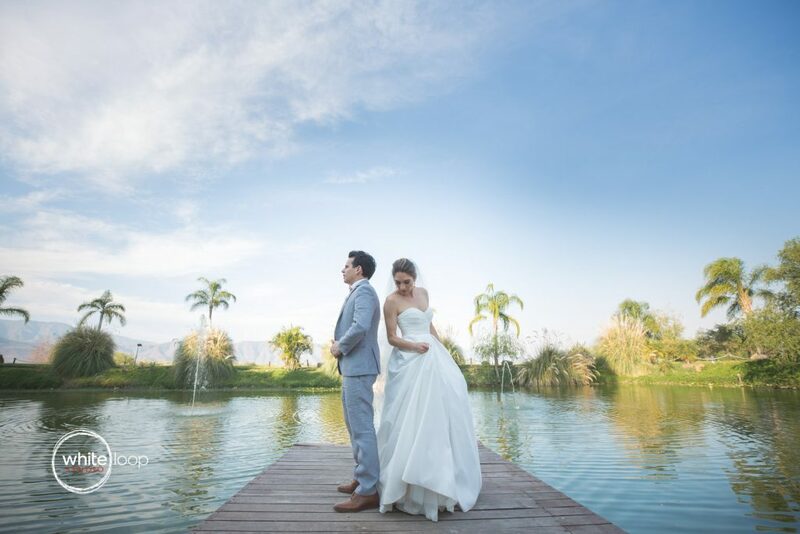 Since the early morning, when we get to the already well known location of Quinta San Carlos, we started breathing a relaxing and familiar atmosphere. 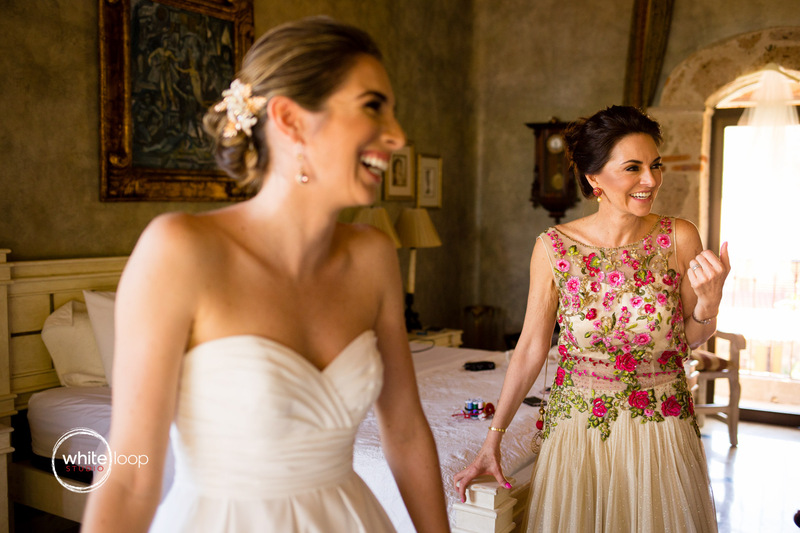 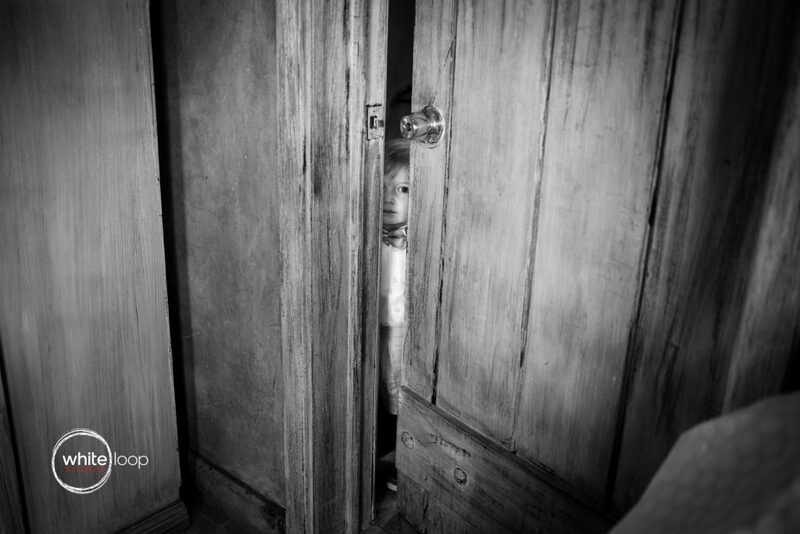 We spent some time with Mariana in her room with her close family members, where we felt like long time friends thanks to the informal environment. 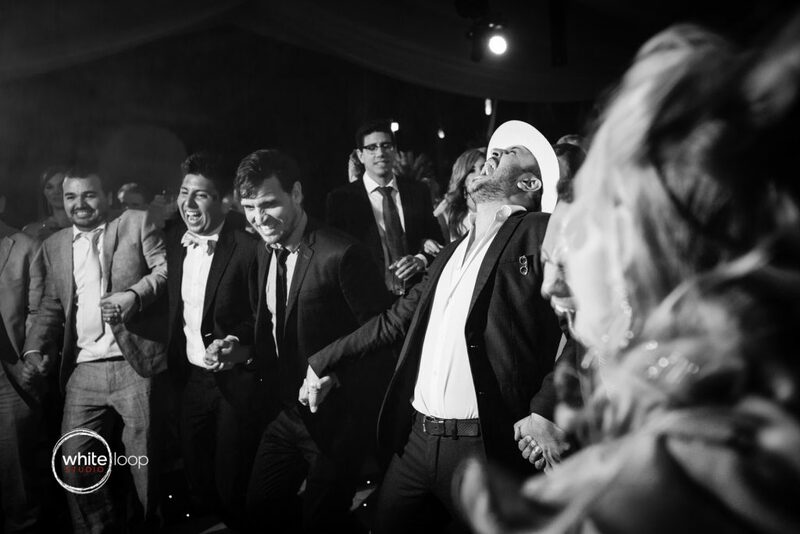 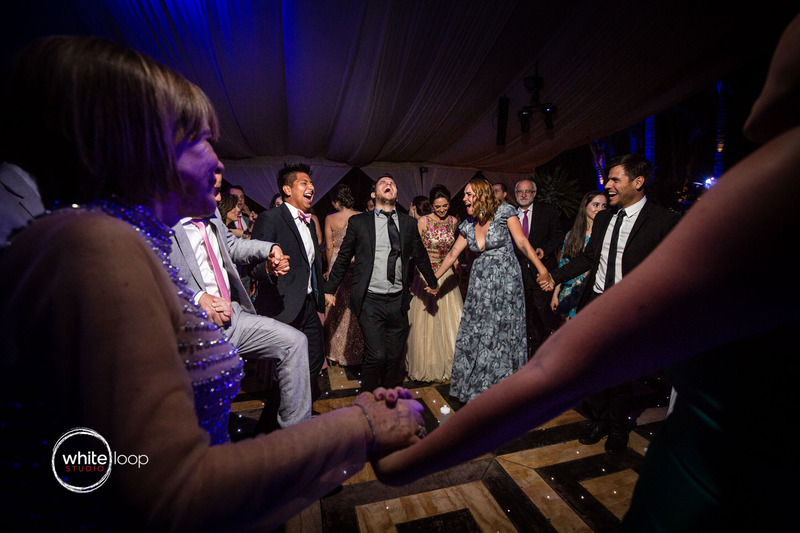 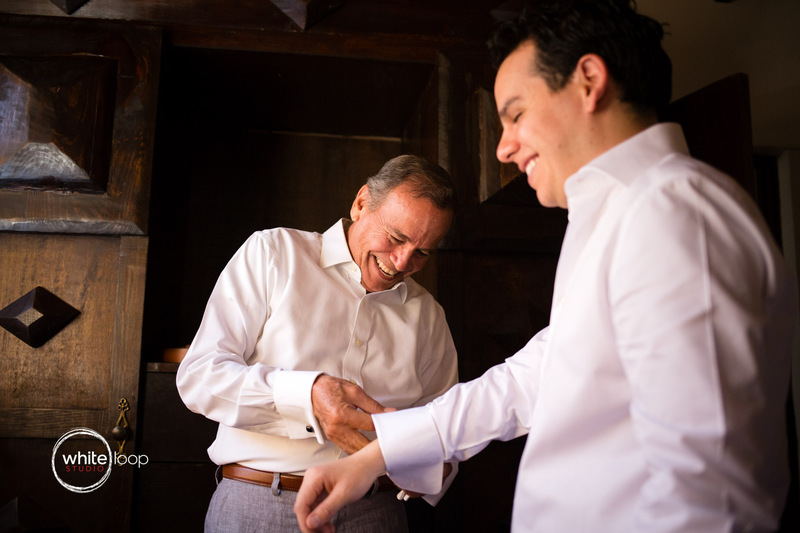 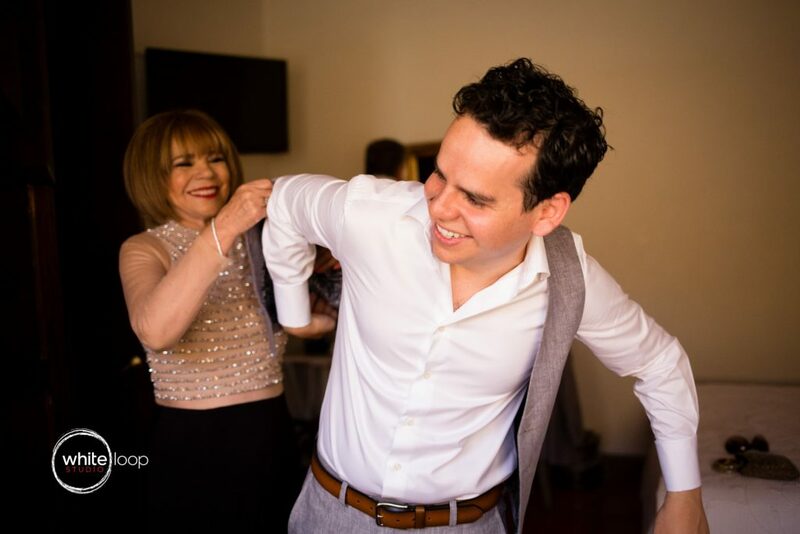 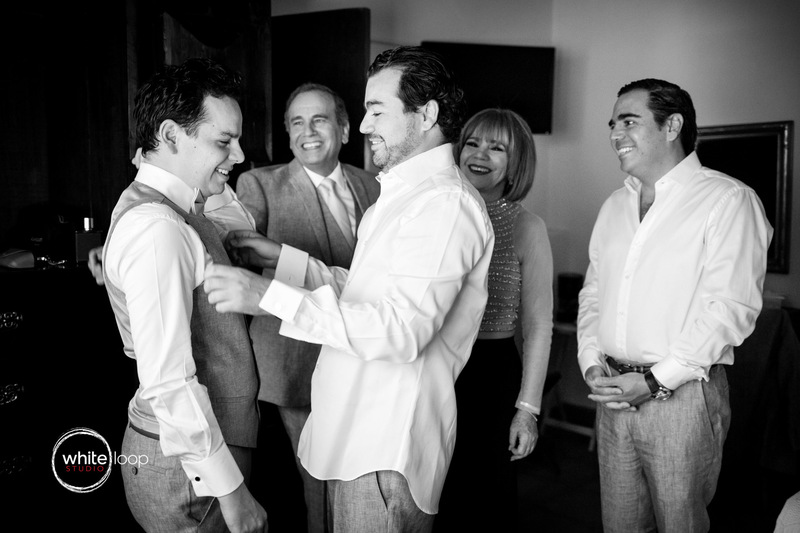 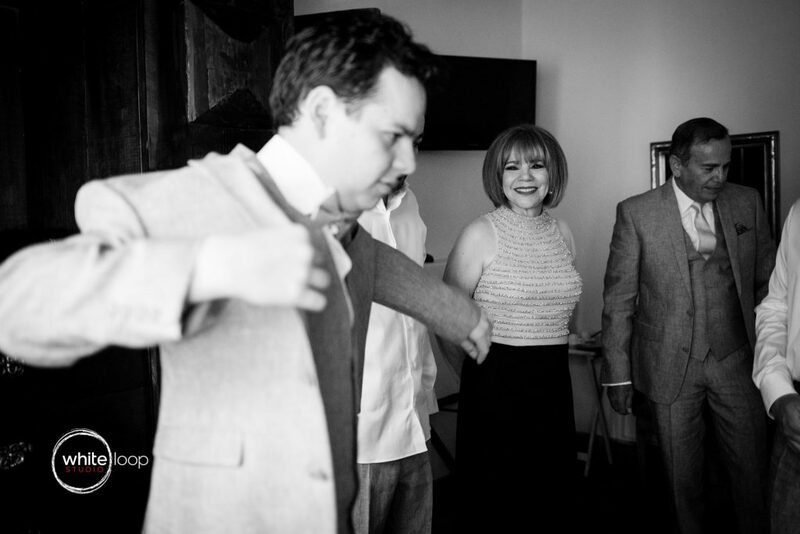 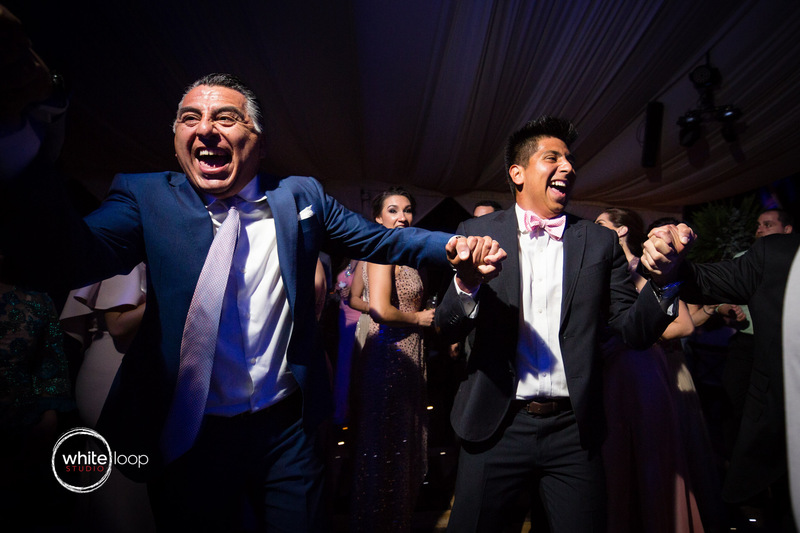 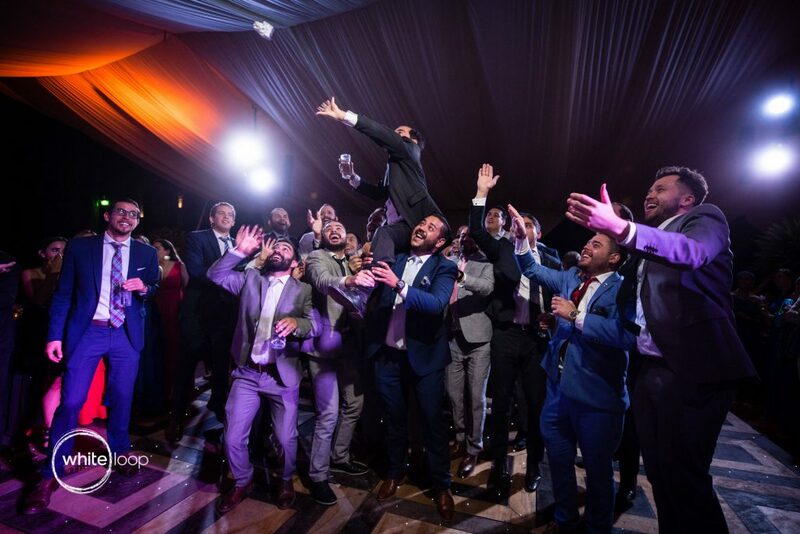 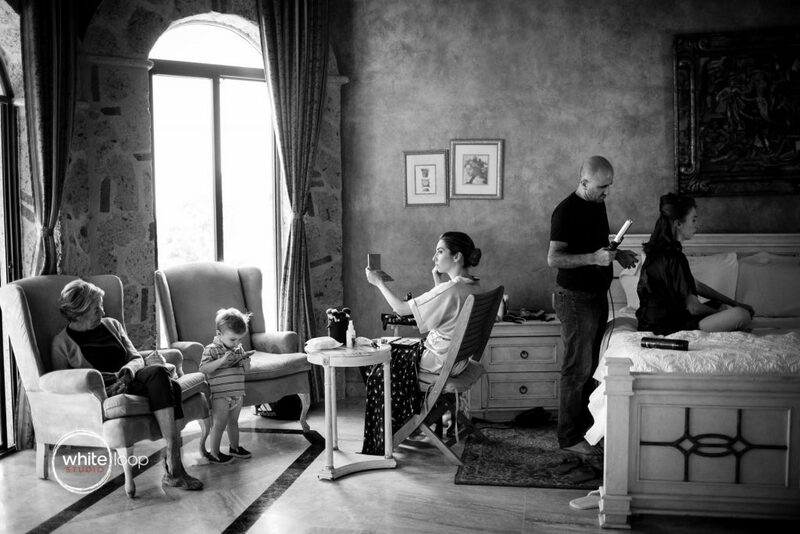 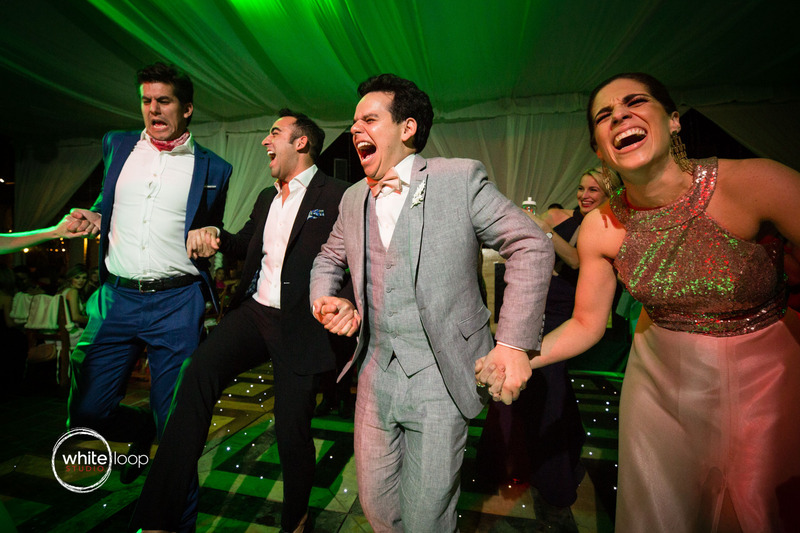 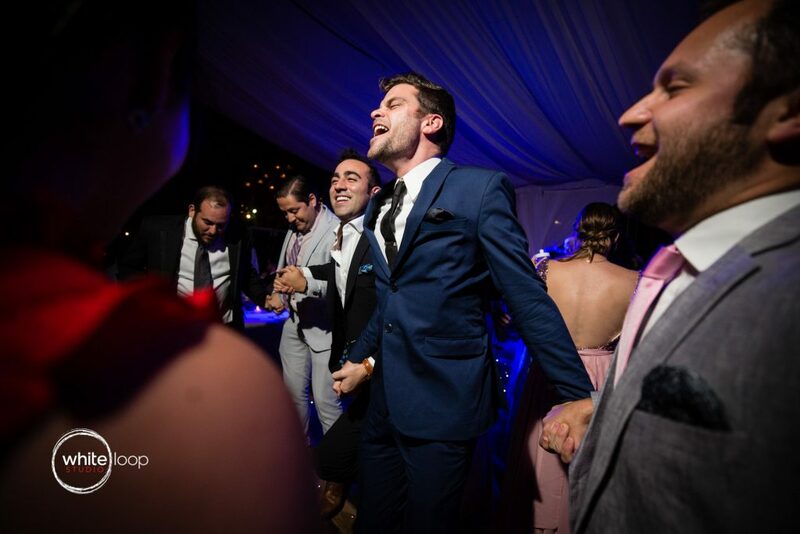 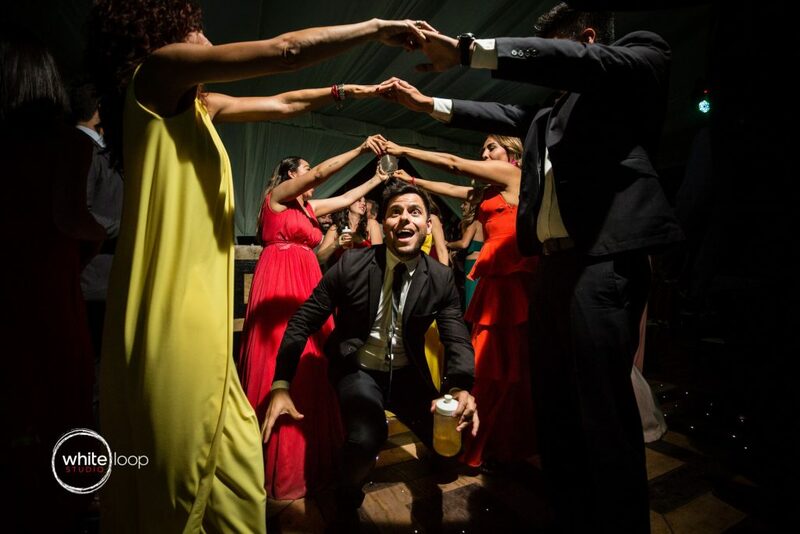 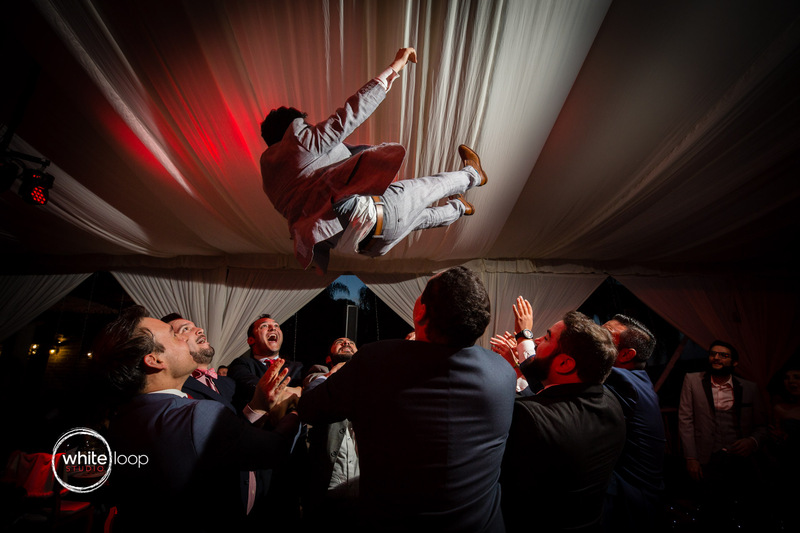 Then we moved with Diego and assisted to a very joyful preparation of the groom. 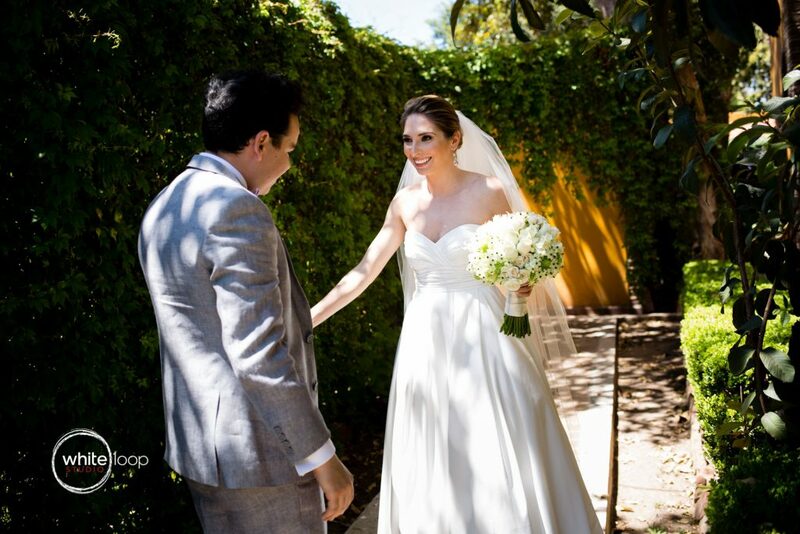 After that, the bride and the groom decided to meet and have their first look in the beautiful and flowery garden outside their rooms. The sun was quite strong during the portrait session but we managed to get some funny shots under the Mexican strong daily light. 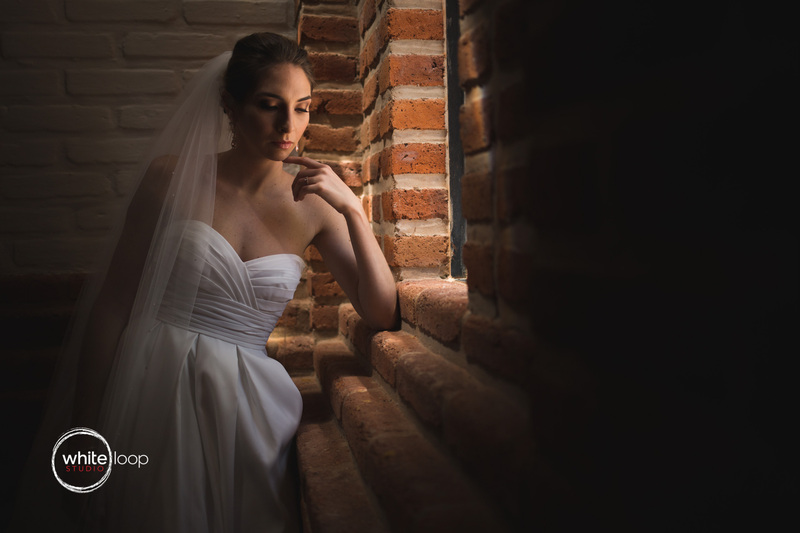 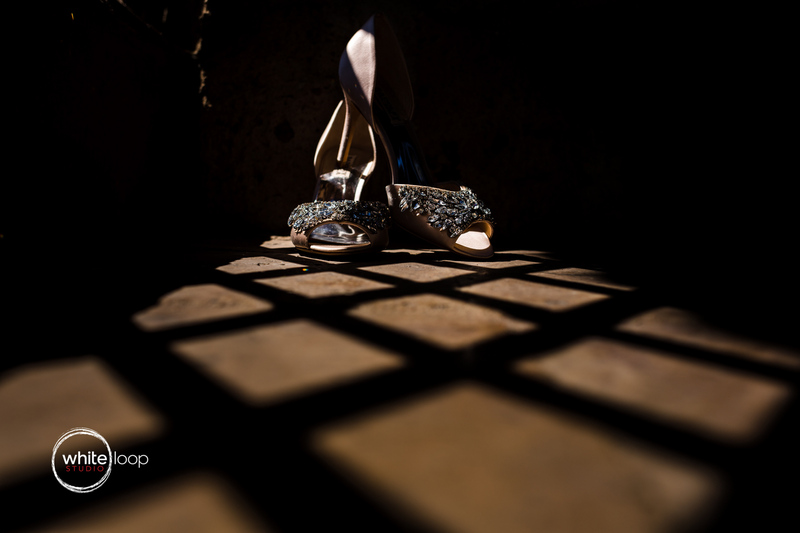 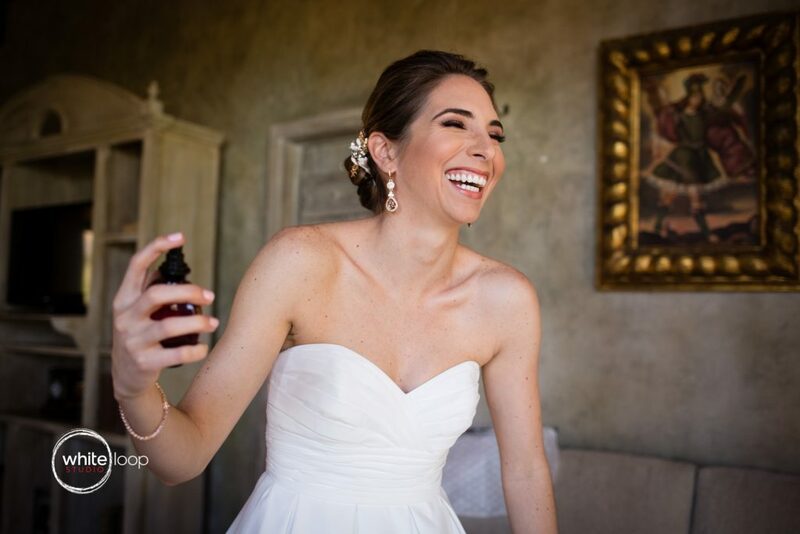 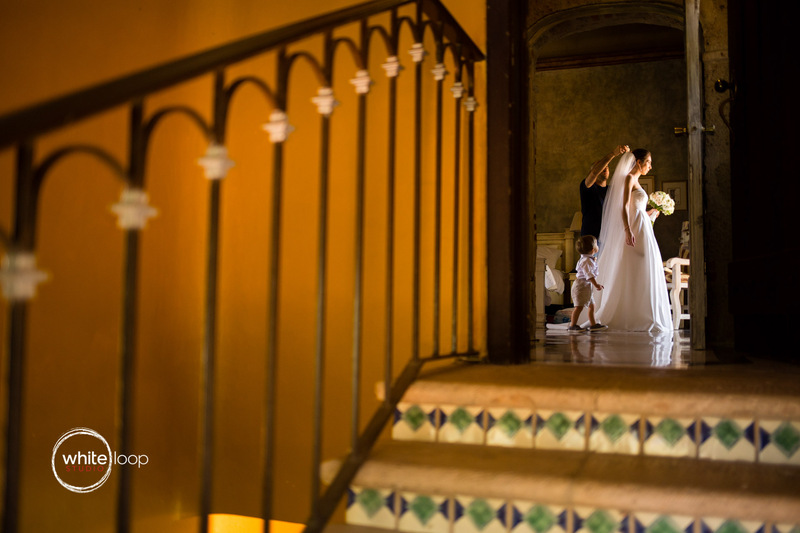 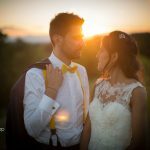 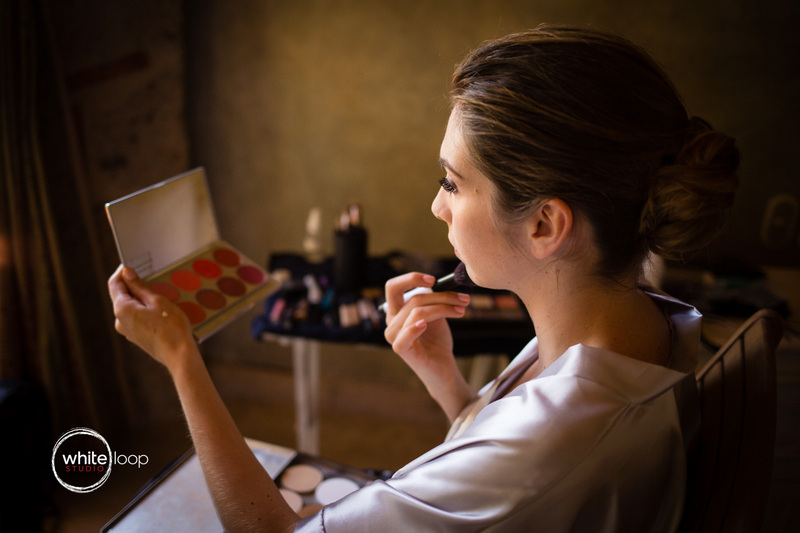 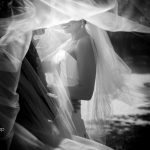 We preferred to complete the session in the shade of the small church of Quinta San Carlos and look for some soft lights. During all the session, the bride and the groom couldn’t contain their happiness so basically, in all the pictures, they’re laughing. 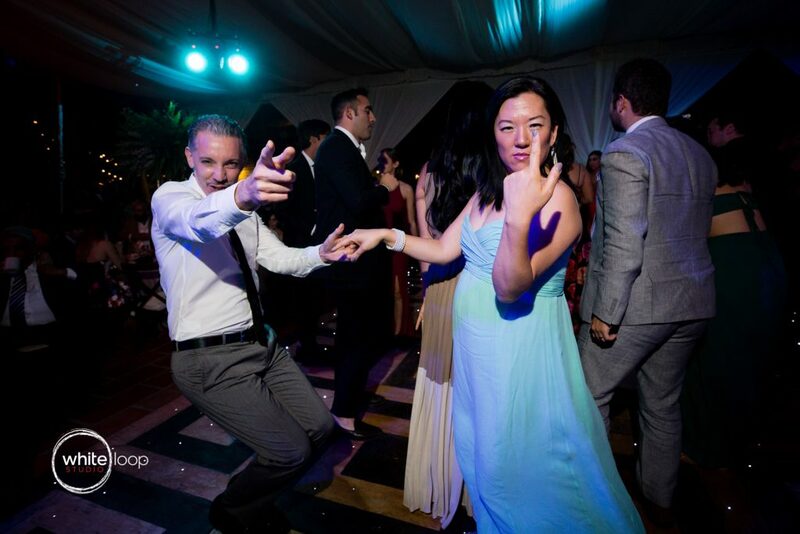 We couldn’t get any single serious shot. 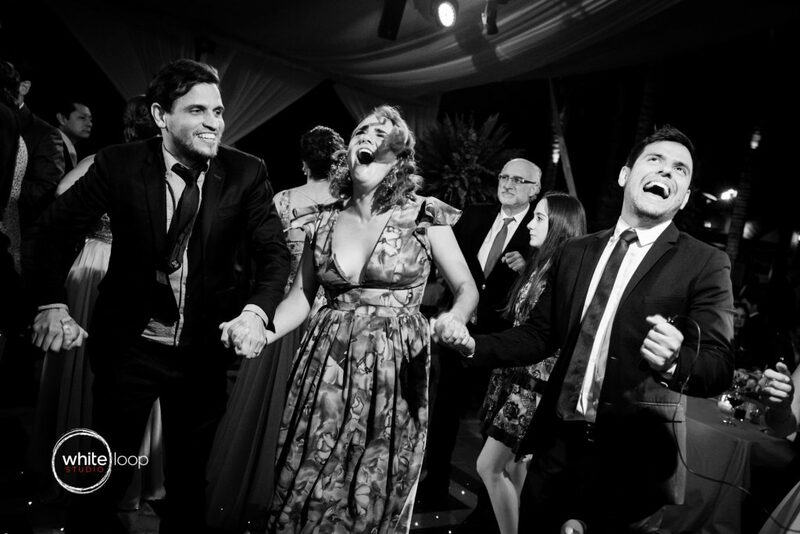 But it doesn’t matter when the pictures have to express the real feeling of the moments. 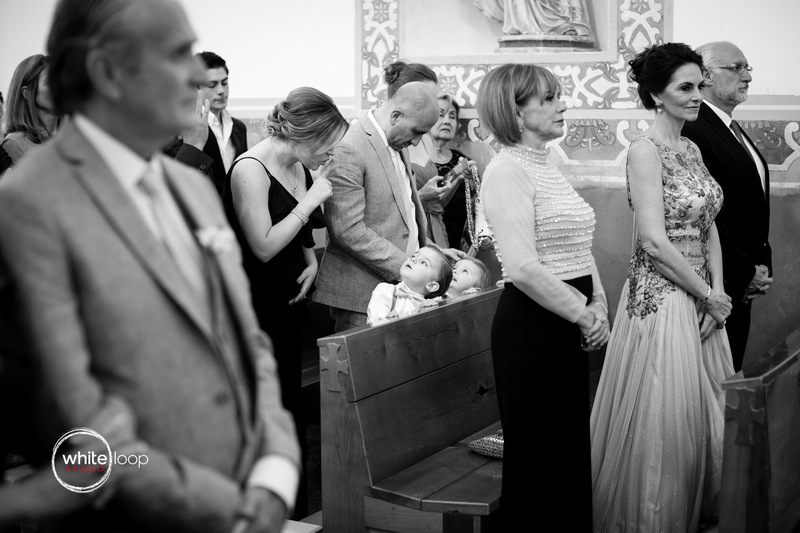 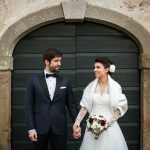 The ceremony took place in a small church in a much more small village, but the function was very emotional and funny at the same time and converted everything into something really big! 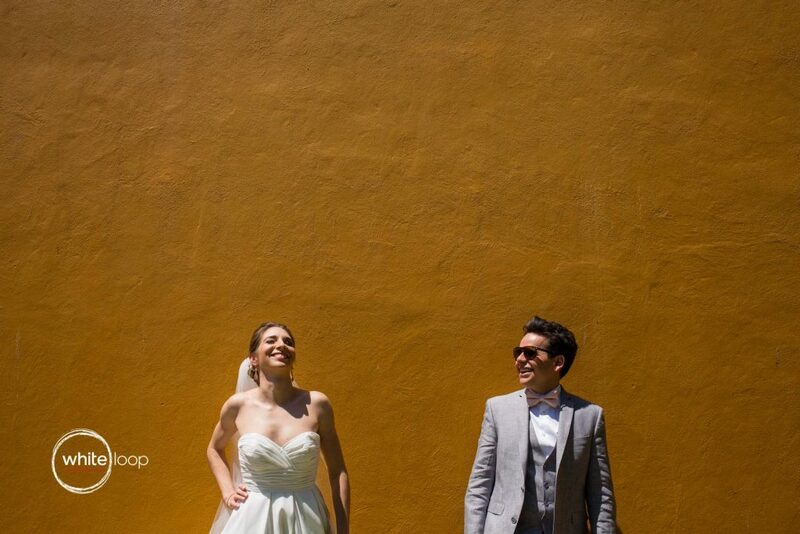 We went back to the Quinta San Carlos where good and fresh Mexican beers where waiting for all the guests to arrive. 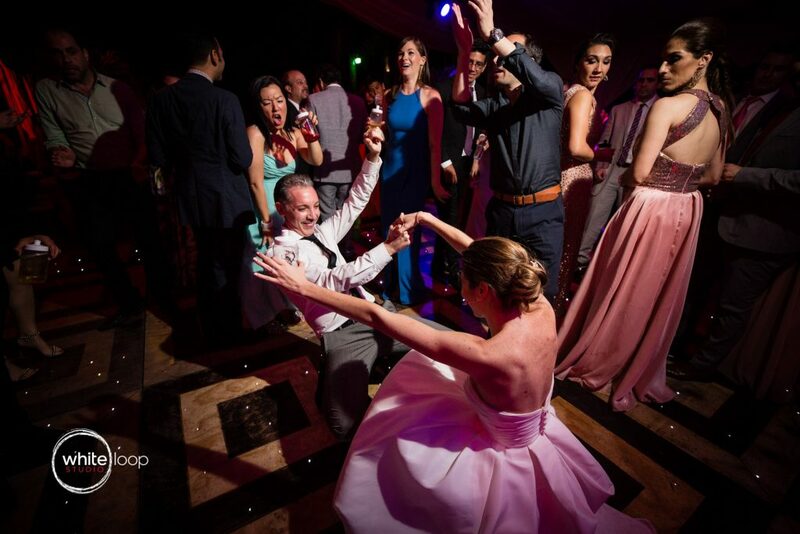 The best part came with the party when few foreigners guests experimented the ‘toque’, a typical electrical game played in the streets by Mexicans. 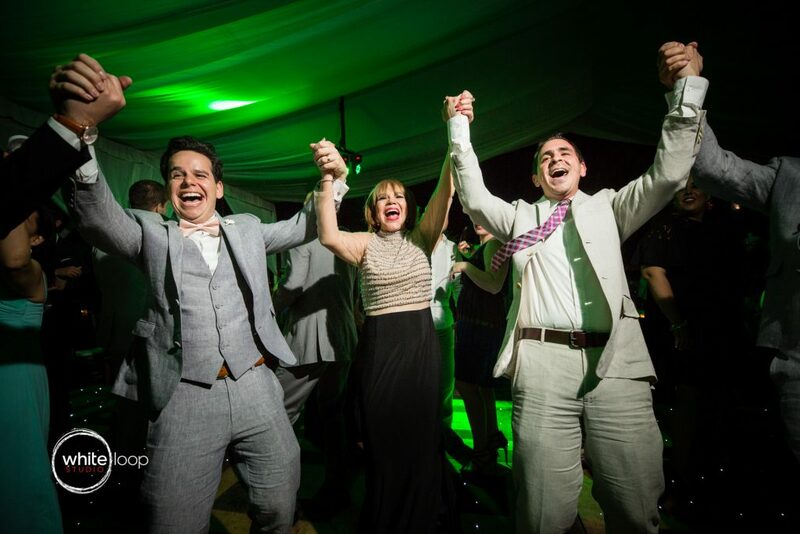 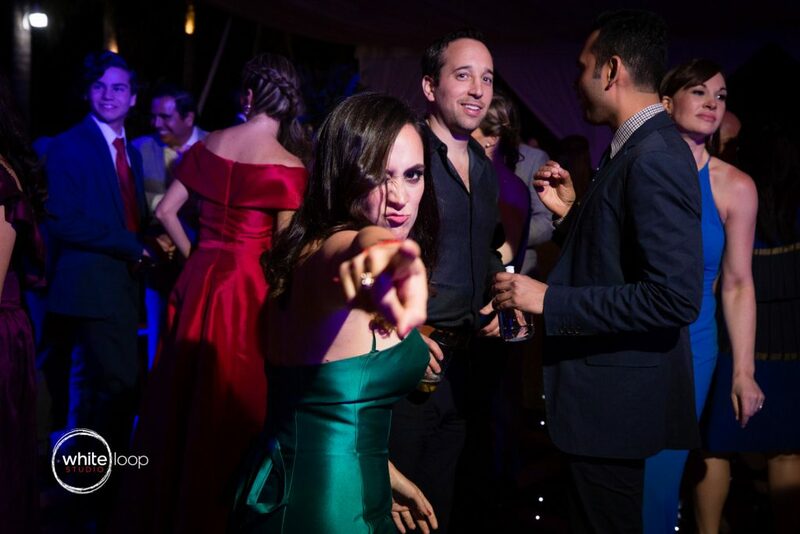 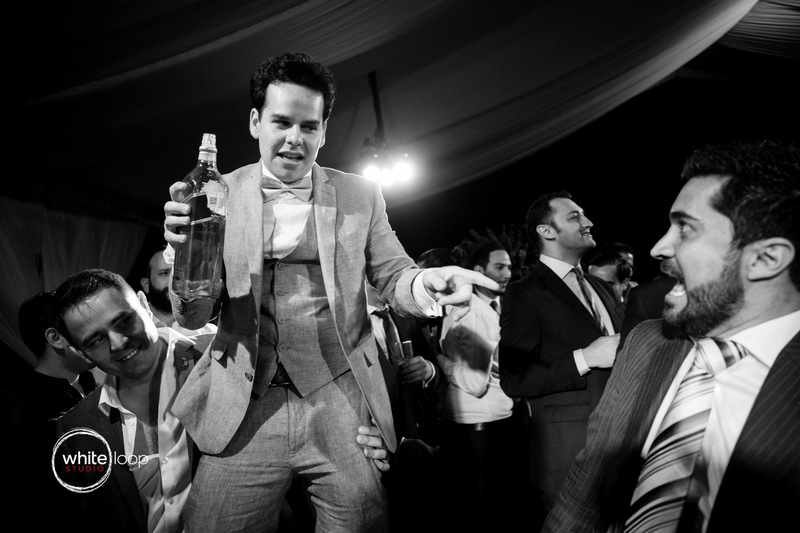 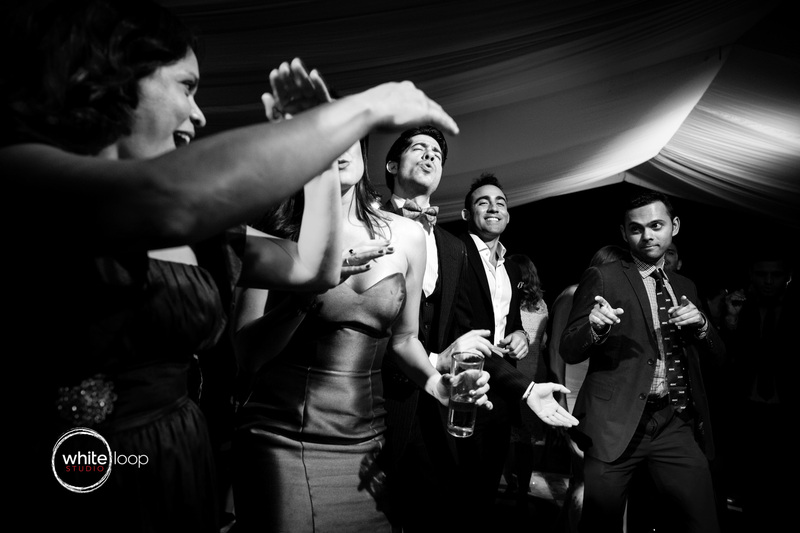 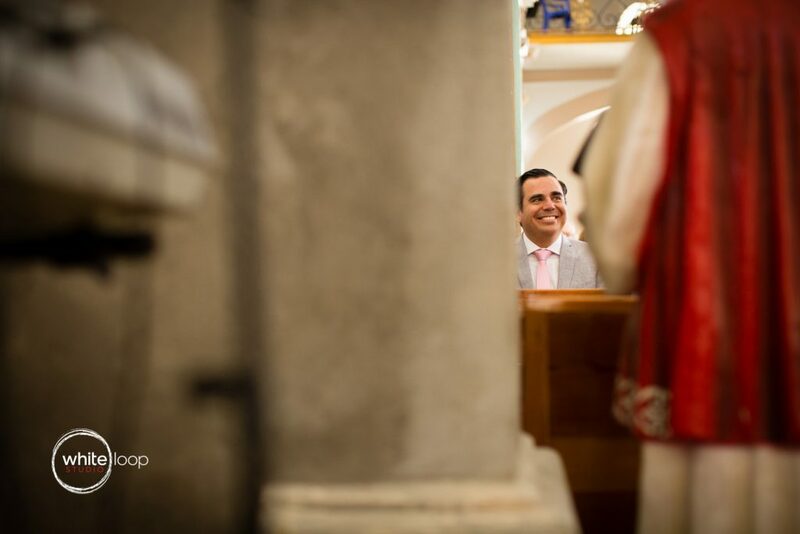 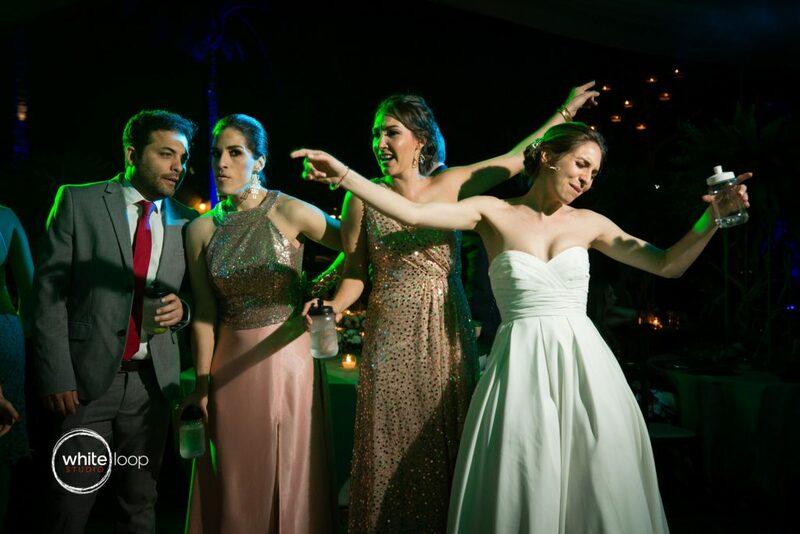 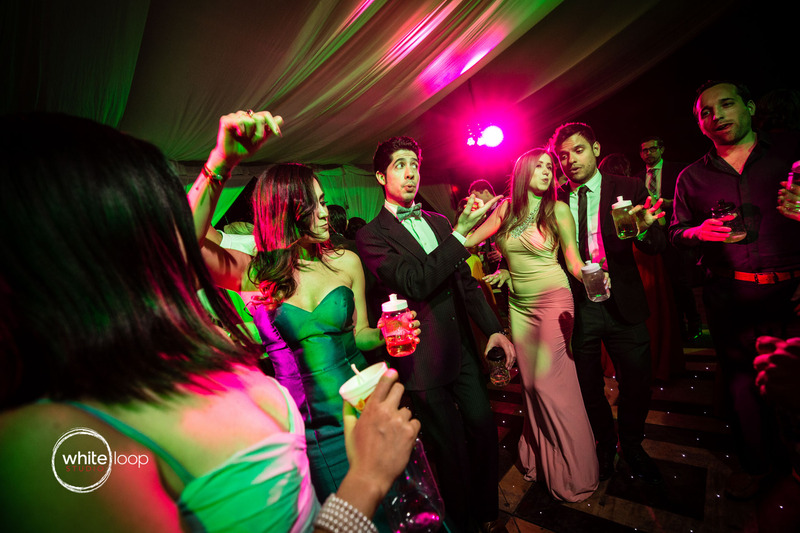 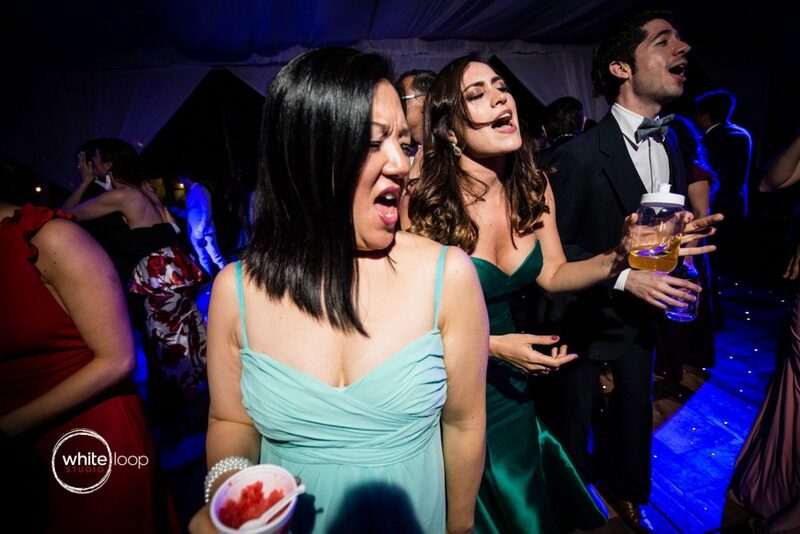 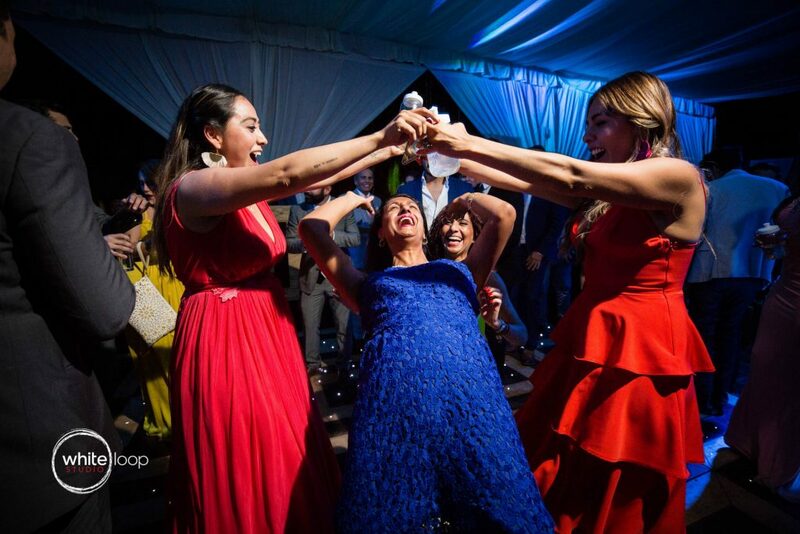 I get some funny shots of the distorted faces which make me remember this wedding with a lot of good vibe. 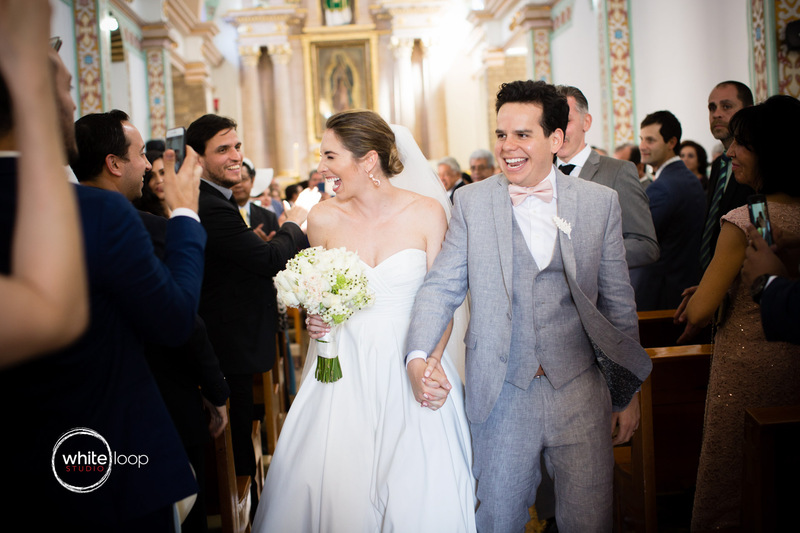 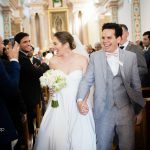 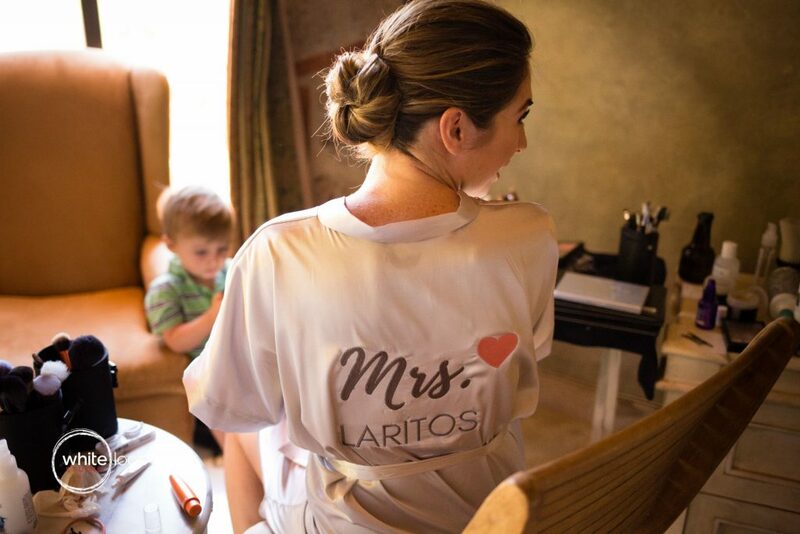 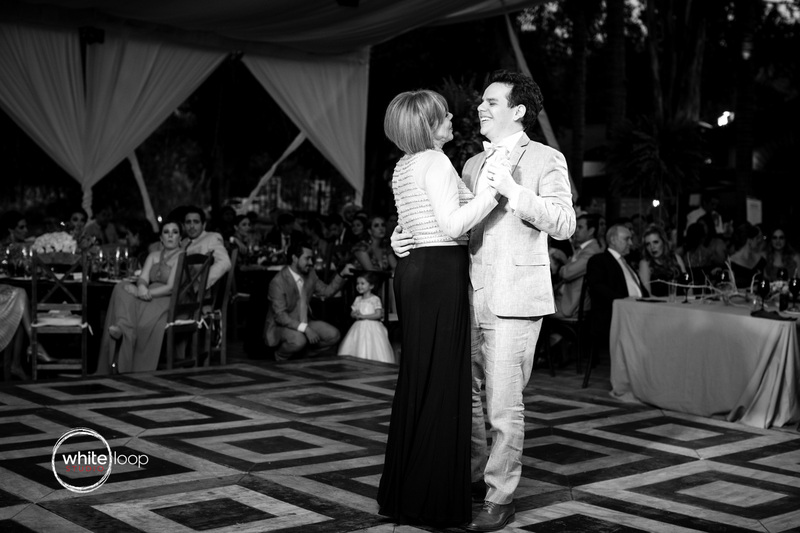 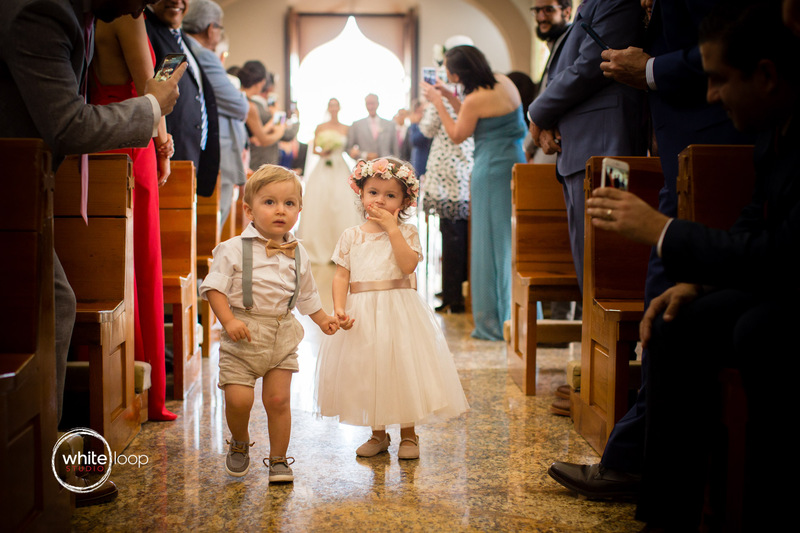 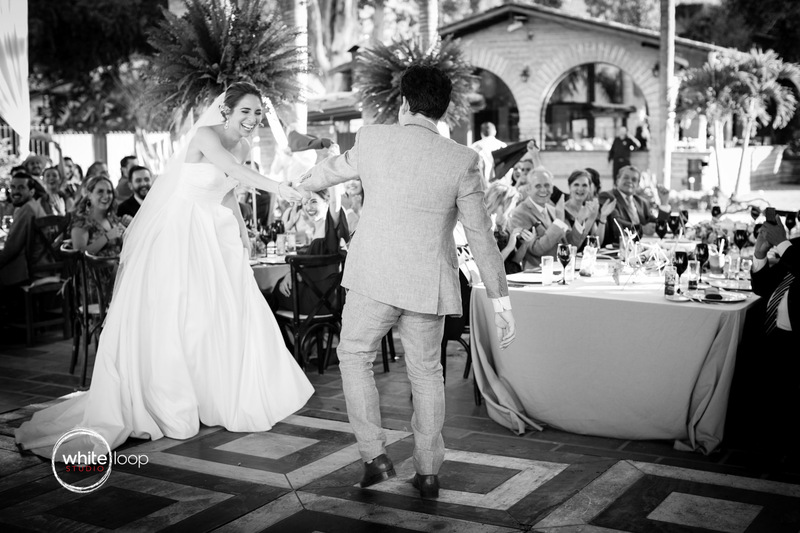 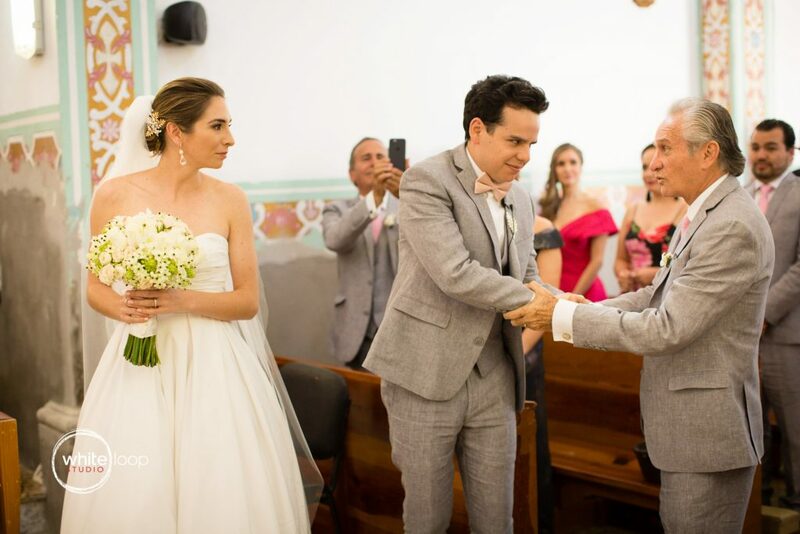 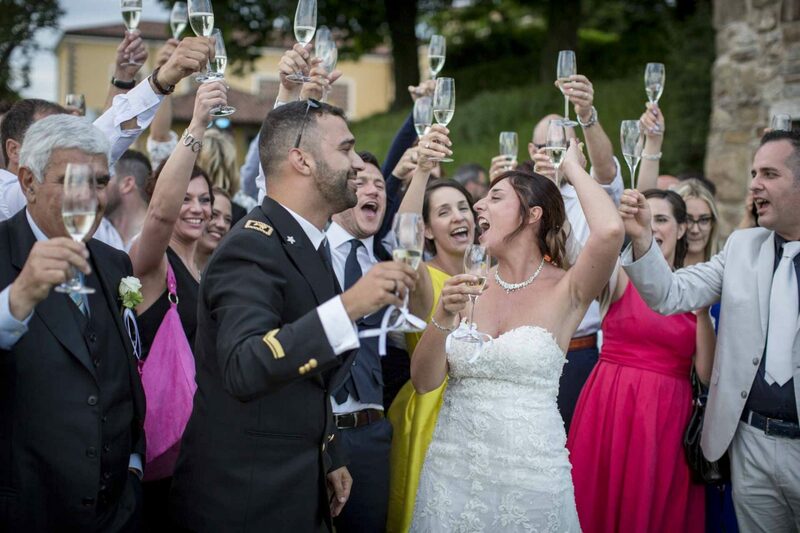 Mariana and Diego never lost control, they spent all their time with their guests showing love and gratitude to all of them. 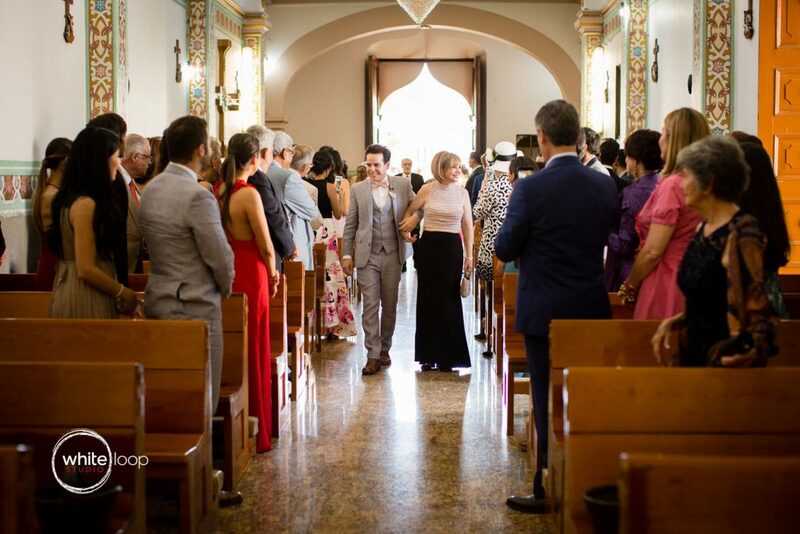 It has been a very positive experience tome and I hope they will take the same feeling with them to New York, where they live, or wherever their love will take them.